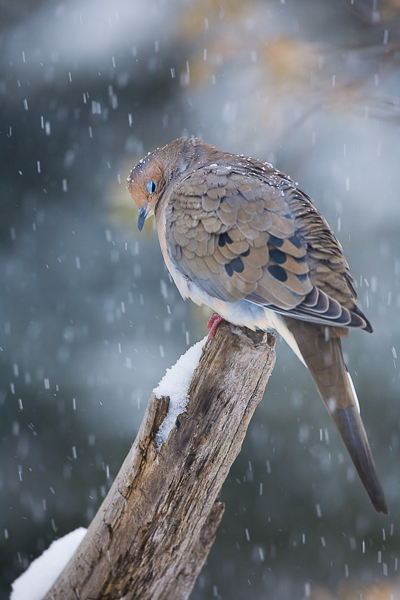 Mourning dove takes a rest during a snow storm. Surviving the cold and snow these winged friends bring a smile to your face even during winter's chills. Photo © copyright by Lance B. Carter.